Daniel Bryant is the author of "Containerizing Continuous Delivery in Java." Download your free copy here. Implementing a continuous delivery (CD) pipeline is not trivial, and the introduction of container technology to the development stack can introduce additional challenges and requirements. In this webcast we will look at the steps that are essential for creating an effective pipeline for creating and deploying containerized applications. A supporting O'Reilly report "Containerizing Continuous Delivery in Java" is also available, and this contains instructions and code for how to create a Jenkins-based continuous delivery pipeline that takes a series of Java applications and containerizes them, ready for functional and nonfunctional testing, and ultimately, deployment. 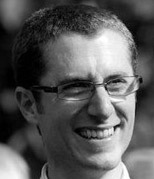 Daniel Bryant is the Chief Scientist at OpenCredo and CTO at SpectoLabs. He currently specialises in enabling agility within organisations by introducing better requirement gathering and planning techniques, focusing on the relevance of architecture within agile development, and facilitating continuous delivery. Daniel's current technical expertise focuses on 'DevOps' tooling, cloud/container platforms, and microservice implementations. He also contributes to several open source projects, writes for InfoQ, O'Reilly, and Voxxed, and regularly presents at international conferences such as QCon, Devoxx and JavaOne.